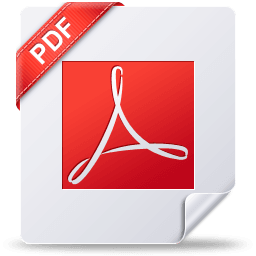 What Is Cluster of Differentiation? Cluster of differentiation (CD) is a surface marker that identifies a particular differentiation lineage recognized by a group of monoclonal antibodies. 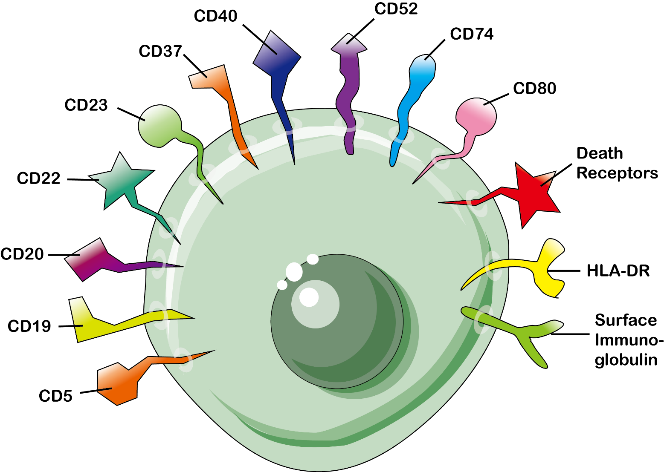 CD antigens are molecules originally defined as being present on the cell surface of leucocytes and recognized by specific antibody molecules, but now including some intracellular molecules and molecules present on cells other than leucocytes. Such molecules are assigned a CD number following a consensus reached at regularly held international workshops. Physiologically, CD antigens do not belong in any particular class of molecules. They can act in numerous ways, often acting as receptors or ligands important to the cell, some CD proteins do not play a role in cell signaling, but have other functions, such as cell adhesion. Initially, CD designation was intended to describe a cluster of mAbs that display the same cellular reactivity and identify the same molecular species. For instance, CD2 mAbs are reagents that react with a 50-kDa transmembrane glycoprotein expressed on resting T cells. Later, the CD designations were used to describe the recognized molecules, but had to be clarified by attaching the term antigen or molecule to the designation (e.g., CD2 molecule). Currently, CD2 is generally used to designate the molecule, and the CD2 antibody is used to designate the antibody. Over the past 30 years, the data generated by the 10 Human Leukocyte Differentiation Antigens Workshops have led to the characterization and formal designation of more than 400 molecules. CD molecules are commonly used as cell markers, allowing the identification and isolation of leukocyte populations, subsets, and differentiation stages. mAbs against these molecules have proven to be essential for biomedical research and diagnosis, as well as in biotechnology. More recently, they have been recognized as invaluable tools for the treatment of several malignancies and autoimmune diseases. The CD nomenclature is also frequently used to describe lymphocyte and leukocyte subsets. The presence or absence of a specific antigen from the surface of the particular cell population is denoted with “+” or “-" respectively. For example, a "CD34+, CD31?" cell is one that expresses CD34, but not CD31. Some cell populations can also be defined as hi, mid or low (alternatively bright, mid or dim), indicating an overall variability in CD expression, particularly when compared to other cells being studied. Clarify and bring up to date earlier provisional (CDw) designations. Fill in some of the CD numbers that had previously been reserved for members of molecule families such as chemokine receptors. Allocate CD numbers to new antibodies and new molecules where adequate data was submitted. Initiate multi-laboratory studies on important differentiation markers, irrespective of their cellular location. The basic workshop protocol was established by the organizing committee, at a meeting in Paris in October 1981. Antibodies accepted for the Workshop were assigned to one of three protocols based on specificity. One group of antibodies was selected because of their specificity for T cells ("T Cell" protocol), one group was selected because of their apparent specificity for B cells and cells from non-T non-B acute leukemias ("B cell plus CALLA" protocol), and one group was selected for reacting primarily with cells of monocytic or granulocytic lineage ("M plus G" protocol). Each of the three protocols was divided into two levels of study. Level 1 studies were compulsory for all participating laboratories and were designed to assess performance and reliability. A standard set of mAb, including unknown duplicates, were provided for Level 1 work. For Level 2 studies, a separate set of Mab was provided for each of the three protocols. Each participating laboratory received a complete set of antibodies for each protocol performed. A minimum number of tests on specified cell samples was recommended for each protocol. In order to identify mAb detecting similar antigens, all mAb were compared pair-wise and their similarities or differences designated as the "distance" between them. "Distance" was defined as the mean absolute difference in reactivity between any two mAb pairs tested against cell target cells included in the study. The calculated "distance" for all mAb pairs were then analyzed using a hierarchical clustering algorithm. The algorithm forms clusters beginning with the pairs of mAb showing the closest or "least-distance" associations and then adds successive mAb pairs to the clusters. In this manner, a hierarchical tree was established, linking together in decreasing order of similarity all mAb tested. 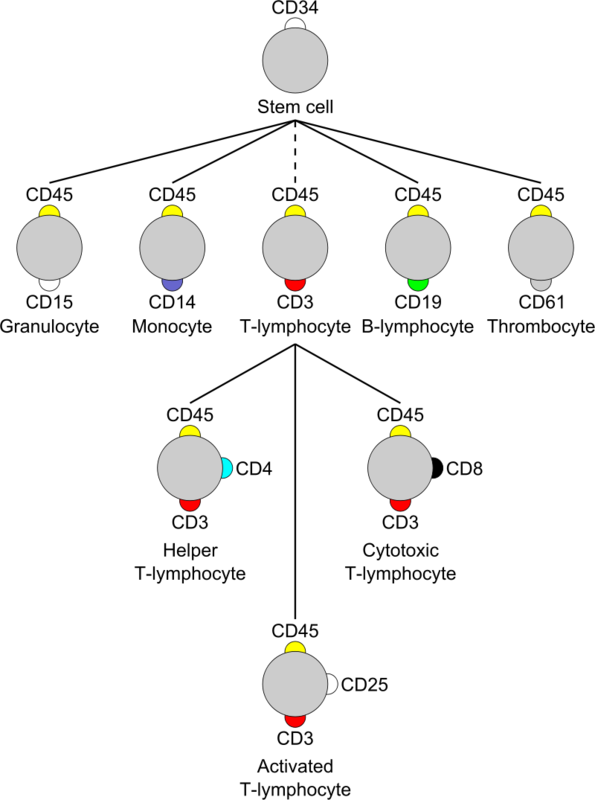 Within a given test protocol, once a hierarchical tree was established, cut-points were determined to subdivide the tree into several individual mAb clusters. The level of the cut-points were selected such that the "distances" between mAb within a cluster were minimized while the "distances" between mAb in separate clusters were maximized. In this manner, a family of clusters including all mAb tested was established. These clusters were designated Clusters of Differentiation (CD). These workshops were instrumental in unraveling the function of leukocyte cell surface molecules and profoundly transformed our understanding of functional properties of immune cells, as well as their differentiation, maturation, and activation. Ten HLDA Workshops have been organized thus far, some protocols have been developed and improved. The basic strategy was to assess a given mAb’s reactivity with a large panel of different lymphoid cells, followed by statistical analysis of the resulting expression data and further examination of the biochemical nature and molecular mass of the target antigen. Although cellular expression analysis remains essential, modern molecular biology techniques are very useful for a clearer identification of the molecular structures of the target antigens than was possible in the earliest workshops. Participating laboratories perform specific blind studies with the mAbs included in the panel. This allows for the testing of mAb reactivity with multiple cell types using multiple-color flow cytometry. Other participating researchers perform additional tests, such as immunohistochemistry on tissue sections or the biochemical characterization of the target molecules using immunoprecipitation, Western blots, or binding studies to the recombinant target molecules. The flow cytometry expression data are collected by the organizing laboratory and analyzed using a hierarchical clustering algorithm. The biochemical and molecular biological data are used to further validate the clustering analysis. CD antigens are mostly detected for the identification of populations and subpopulations of immune system cells. A process that uses antibodies to identify cells based on the types of antigens or markers on the surface of the cells. This process is used to diagnose specific types of leukemia lymphoma and other cells of the immune system. Clusters of Differentiation (CD) markers are widely used for immunophenotyping. In some cases, CD antigens are expressed only at certain stages of development or under certain conditions. Some of the surface antigens are useful for delineating the cell lineage of leukocytes. Unique assignment of a surface antigen to a particular lineage is best when the antigen is related to a unique functional property of a given cell type. The CD3 surface antigens form part of the T-cell receptor complex for antigens. As such, CD3 is expressed exclusively by mature lymphocytes of the T cell lineage. CD4 and CD8 are, in general, used as markers for the helper and cytotoxic T cells, respectively. These molecules are defined in combination with CD3+, as some other leukocytes also express these CD molecules (some macrophages express low levels of CD4; dendritic cells express high levels of CD8). In addition, CD20 is antigen found exclusively on lymphocytes of the B-cell lineage. Most CD antigens, however, are expressed at varying levels by many different cell types. Rather than the exclusive expression of a single CD antigen with a particular cell type, it is the peculiar constellation of surface antigens expressed by a given cell that helps assign it to a particular lineage or sublineage of cells. Increasingly, the resolution of many important cell subpopulations requires two or more color multiparameter flow cytometric analyses. Expressed during thymopoiesis and on mature T cells in the periphery. Less than 10% of human peripheral T cells express the γ/δ TCR complex, but in the mouse, the great majority of T cells present in some epithelial tissues are γ/δ+and have limited receptor diversity. Pre-TCR α (pTCRα) is expressed in immature but not mature T cells. CD3/TCR consists of both IgSF and non-IgSF proteins. The stoichiometry of a CD3/TCR complex is not established but is generally thought to contain a TCR hetrodimer, two CD3ε chains, a CD3γ and a CD3δ chain and a ζ homodimer. The α/β andγ/δ heterodimers are clonotypic and consist of Ig-like variable and constant domains. The α/β heterodimer has been crystallized and the structure confirms the predicted IgSF domains. In immature T cells, pTCRα which is comprised of a single conserved IgSF domain in its extracellular region is expressed instead of TCRα. The transmembrane domains of the clonotypic and invariant chains contain oppositely charged amino acids. The ζ chain forms disulfide-linked homodimers or, less frequently, heterodimers with its splicing variant, the η chain. The ζ chain is related to the γ chain of the IgE Fc receptor and can also associate with the Fc receptor CD16. The cytoplasmic domains of the CD3 and ζ chain contain ITAM motifs. The α/β andγ/δ heterodimers recognize peptide antigen bound to MHC antigens. The affinity of the interaction between the TCR and the MHC/peptide complex is in the range 10-7-10 -4 M. The cocrystal structure of TCR and peptide-MHC reveals that the TCR VDJC junction, which is equivalent to the third complementarity-determining region (CDR3) of antibodies, interacts directly with the peptide and that the CDR1- and CDR2-like regions of the TCR contact peptide and the MHC antigen. Superantigen binds to non-polymorphic regions of TCRVβ. Intracellularly, Fyn is associated with the CD3/TCR complex. Phosphorylated ITAM motifs of the CD3 and ζ chains bind to SH2 domains of intracellular signaling molecules, e.g. phosphorylated ζ chains bind to ZAP-70. Recognition of antigen leads to signal transduction mediated by the invariant chains and subsequently T cell activation. Consequences of binding by TCR depend on antigen density and affinity of TCR for antigen and may result in unresponsiveness. Signal transduction involves tyrosine kinase and phospholipase C activation followed by phosphoinositide turnover and activation of several second messenger pathways. Although TCR genes contain fewer variable-region segments than antibody genes, the potential repertoire can be argued to be higher than that of antibodies due to the relative abundance of J-region segments and greater flexibility in the joining of variable (V)-, diversity (D)-and joining (J)-segments. Rearrangement of the TCR genes is similar to that of antibody genes and occurs at the CD4-/CD8- stage of thymic development, but the TCR genes do not undergo somatic mutation after rearrangement. Selection of the receptor repertoire takes place in the thymic cortex while the thymocytes coexpress CD4 and CD8 and low levels of the TCR. Mature thymocytes expressing CD4 or CD8 and high levels of the TCR complex then leave the medulla for the periphery. Mice deficient in components of the CD3/TCR complex are arrested in development of their T cell repertoire. CD4 is expressed on most thymocytes and approximately two-thirds of peripheral blood T cells, which constitute the CD8- cells. In human and rat but not in mouse, CD4 is expressed on monocytes and macrophages. is characterized by an unusual disulfide within one βsheet and domain 3 lacks a disulfide in the position conserved in most IgSF domains. Cat CD4 shows some unusual features with 17 residues inserted between domains 1 and 2. There is an additional Cys in domain 1 and the Cys in the unusual β strand C position in domain 2 is replaced with a Trp and there is an extra Cys in the β strand F. The position of the N-terminus has been established for the rat homologue. CD4 shows particularly close similarities in overall structure to the LAG-3 protein. The cytoplasmic domain of CD4 is phosphorylated at Ser residues 408, 415, 431 when T cells are activated by antigen or phorbol esters. CD4 domains 1 and 2 bind to MHC Class II antigen. There is evidence that CD4 domains 3 and 4 are involved in cis interactions with the CD3/TCR complex. The cytoplasmic domain interacts with a lymphocyte-specific tyrosine kinase called Lck through a CXCP motif. CD4 is a receptor for HIV-1 and the binding of the viral gpl20 protein is to a region of the N-terminal domain. CD4 is an accessory molecule in the recognition of foreign antigens in association with MHC Class II antigens by T cells. Interactions with MHC Class II and with Lck have been shown to have a role in CD4 function. MAbs against CD4 inhibit T cell functions in vivo and in vitro. CD8 is expressed on most thymocytes and approximately one-third of peripheral blood T cells, which constitute the CD4- cells. CD8αβ heterodimers are expressed only on TCRαβ cells whereas CD8α homodimers can be expressed on αβ and γδ T cells and some NK cells. CD8 is expressed as a heterodimer of CD8α and CD8β or as a CD8α homodimer. CD8α is required for expression of CD8β. The IgSF domains of CD8α and CD8β are separated from transmembrane sequences by hinge regions rich in Pro, Ser and Thr residues containing O-linked carbohydrate, with four sites identified in rat CD8α. The N-terminus of the mature polypeptide has been established by protein sequencing. Alternative splicing gives rise to a soluble form of CD8α and a soluble form is predicted for CD8β. An alternatively spliced form of mouse CD8α, called CD8W, has a shortened cytoplasmic domain. Partial genomic structure of human CD8β shows it has a similar organization to the mouse CD8β gene. The X-ray crystal structure of the IgSF domain of human CD8α did not contain the abnormal disulfide bond found in biochemical analysis of mouse and rat CD8. In the mouse the genes for α and β chains are only 36 kb apart and are closely linked to the Igκ gene locus. The IgSF domain of CD8α binds to the α3 domain of MHC Class I. Like CD4, a CXCP motif in the cytoplasmic domain of CD8α mediates binding to the tyrosine kinase Lck. CD8 acts as a co-receptor with MHC Class I-restricted TCRs in antigen recognition. Analysis of mice lacking CD8α or CD8β shows that the co-receptor function of CD8 is important for selection of MHC Class I-restricted CD8+ T cells during development. Except of defining leukocytes, in some cases, they also have utility in the identification of tumors. Besides, antibodies targeting CD antigens are used clinically in the treatment of tumors and autoimmune diseases and to limit the rejection of transplanted organs. Moreover, the evaluation of the ectopic expression of these markers in solid tumors has led to the detection of disease in early stages. The expression of some CD markers on tumor cells due to epigenetic changes results in the aggressiveness and resistance of these cells to the therapeutic agents. Hypomethylation of the CpG islands in the promoters of many CD marker genes results in the increased expression of these markers on tumors, which eventually increases tumor survival. Enhancer of zester homolog 2 (EZH2) has methyltransferase activity, and through the methylation of histone H3, suppresses the expression of tumor suppressor genes and CD markers. There are many miRs suppressing the expression of CD markers on tumor cells, which in fact play the role of tumor suppressors by binding the 3’-untranslated region (3’-UTR) of CD marker mRNAs and prevent their expression. However, in methylated tumor cells, binding of inhibitory factors to the promoter regions of these miRs reduces their expression and in turn increase the expression of CD markers. Therefore, the CD markers expressed on tumor cells could be used as diagnostic and prognostic factors and might also detect the signaling pathways inactivating the tumor suppressors. CD1a CD1a (Cluster of Differentiation 1a), or T-cell surface glycoprotein CD1a, is a human protein encoded by the CD1A gene. An antigen-presenting protein that binds self and non-self lipid and glycolipid antigens and presents them to T-cell receptors on natural killer T-cells. CD1b(de) T-cell surface glycoprotein CD1b. Expressed on cortical thymocytes, certain T-cell leukemias and other tissues. CD1c T-cell surface glycoprotein CD1c. CD1e T-cell surface glycoprotein CD1e is a protein in humans encoded by the CD1E gene. CD2 a type I transmembrane protein found on thymocytes, T cells, and some natural killer cells that acts as a ligand for CD58 and CD59 and is involved in signal transduction and cell adhesion; expressed in T-cell acute lymphoblastic leukemia and T-cell lymphoma. CD5 a type I transmembrane protein found on T cells, thymocytes, and some B cells that is a ligand for CD72 and is involved in cellular activation or adhesion; expressed in B-cell chronic lymphocytic leukemia and T-cell lymphoma. CD8* a co-receptor (with TCR, T-cell receptor) for MHC Class I; mostly found on cytotoxic T cells, but also on natural killer cells, cortical thymocytes, and a subset of myeloid dendritic cells. In HIV infection, CD8+ cytotoxic T cells recognise and kill infected CD4+ helper T cells, which are critical for the body's immunity. In HBV infection CD8+ cytotoxic T cells are involved in liver injury by killing infected cells and by producing antiviral cytokines capable of purging HBV from viable hepatocytes. There are two isoforms of the protein, alpha and beta, each encoded by a different gene (below). CD8b T-cell surface glycoprotein CD8 beta chain. CD9 a member of the Tetraspanin superfamily expressed in a variety of cells, including: pre B cells, eosinophils, basophils and platelets. CD10 a type II transmembrane protein found on pre-B cells, germinal-center B cells, some neutrophils, kidney cells, T-cell precursors, and epithelial cells that acts as a zinc metalloprotease cleaving peptide bonds on the amino side of hydrophobic amino acids; expressed in acute lymphocytic leukemia and follicular-center-cell lymphomas. CD11b Integrin Alpha M (ITGAM); the alpha subunit of Mac-1 (Macrophage-1 antigen), the CR3 complement receptor which consists of CD11b and CD18. CR3 is a human cell surface receptor, found on polymorphonuclear leukocytes (mostly neutrophils), NK cells, and mononuclear phagocytes like macrophages, which is capable of recognizing and binding to many molecules found on the surfaces of invading bacteria. Binding to the receptor causes phagocytosis and destruction of the foreign cell. CD11c Integrin Alpha X (ITGAX), the alpha subunit of (iC3b) receptor 4 (CR4). It is a type I transmembrane protein found on monocytes, macrophages, neutrophils, and some B cells that induces cellular activation and helps trigger neutrophil respiratory burst; expressed in hairy cell leukemias, acute nonlymphocytic leukemias, and some B-cell chronic lymphocytic leukemias. Also one of the defining markers for dendritic cells and hairy cell leukemia cells. CD11d Integrin alpha-D - ITGAD. Integrin alpha-D/beta-2 is a receptor for ICAM3 and VCAM1. May play a role in the atherosclerotic process such as clearing lipoproteins from plaques and in phagocytosis of blood-borne pathogens, particulate matter, and senescent erythrocytes from the blood. CD14 a membrane protein found on macrophages which binds to bacterial lipopolysaccharide. CD15 a carbohydrate adhesion molecule (not a protein) that mediates phagocytosis and chemotaxis, found on neutrophils; expressed in patients with Hodgkin disease, some B-cell chronic lymphocytic leukemias, acute lymphoblastic leukemias, and most acute nonlymphocytic leukemias. It is also called Lewis x and SSEA-1 (stage specific embryonic antigen 1) and represents a marker for murine pluripotent stem cells, in which it plays an important role in adhesion and migration of the cells in the preimplantation embryo. CD16 FcγRIII, a low-affinity Fc receptor for IgG. Found on NK cells, macrophages, and neutrophils. CD16a Low affinity immunoglobulin gamma Fc region receptor III-A encoded by the FCGR3A gene. Mutations in the gene associated with immunodeficiency, particularly severe Epstein Barr virus and HPV infections. CD17 possible role in phagocytosis. Bacteria binding. CD18 Integrin Beta 2 chain (ITGB2). Adhesion and signaling in the hematopoietic system. CD20 a type III transmembrane protein found on B cells that forms a calcium channel in the cell membrane allowing for the influx of calcium required for cell activation; expressed in B-cell lymphomas, hairy cell leukemia, and B-cell chronic lymphocytic leukemia. Important for therapy of those diseases, as antibodies against CD20 exist: e.g. Rituximab and Ofatumumab, with several more in development. Similarly, anti-CD20 monoclonal antibody Ocrelizumab is in trials for multiple sclerosis. CD21 CR2, a type I transmembrane protein found in the cytoplasm of pre-B cells and on the surface of mature B cells, follicular dendritic cells, pharyngeal and cervical epithelial cells, some thymocytes, and some T cells that plays a role in signal transduction; expressed in hairy cell leukemia, B-cell lymphoma, and some T-cell acute lymphocytic leukemias. Receptor for complement (C3d) and Epstein–Barr virus (EBV). CD22 a sugar binding transmembrane protein that specifically binds sialic acid with an immunoglobulin (Ig) domain located at its N-terminus. It is a member of the immunoglobulin superfamily and the SIGLEC family. CD22 functions as an inhibitory receptor for B cell receptor (BCR) signalling. Like CD19, CD22 is a cell surface marker for lymphocytes that is present on most B cell malignancies, including acute lymphoblastic leukemia and various subtypes of non-Hodgkin lymphoma, including diffuse large B-cell lymphoma. CD22 expression has been shown to be maintained in acute lymphoblastic leukemia that has lost CD19, making anti-CD22 a potential combination or follow on therapy for anti-CD19 therapy. Anti-CD22 monoclonal antibodies have been developed, without much success yet; currently Juno Therapeutics has an anti-CD22 CAR-T in development. CD23 a type II transmembrane protein found on mature B cells, monocytes, activated macrophages, eosinophils, platelets, and dendritic cells that enhances capture and processing of antigen complexed with IgE. CD24 a glycoprotein expressed at the surface of most B lymphocytes and differentiating neuroblasts. This gene encodes a sialoglycoprotein that is expressed on mature granulocytes and in many B cells. The encoded protein is anchored via a glycosyl phosphatidylinositol (GPI) link to the cell surface. Is also known as Heat Stable Antigen (HSA). CD25 a type I transmembrane protein present on activated T cells, activated B cells, some thymocytes, myeloid precursors, and oligodendrocytes that associates with CD122 to form a heterodimer that can act as a high-affinity receptor for IL-2; expressed in most B-cell neoplasms, some acute nonlymphocytic leukemias, and neuroblastomas. CD27 TNF-receptor (Tumor necrosis factor receptor superfamily member 7). Present on the surface of resting memory B cells. Binds to ligand CD70. Celldex has an agonist anti-CD27 mAb, CDX-1127, in early stage trials, which activates T-cells by substituting for CD70 and may have anti-tumour effects. Human B and T cell lymphomas often express CD27 at high levels. CD29 AKA integrin beta-1 - a cell adhesion molecule. CD30 a type I transmembrane protein present on activated T and B cells that may play a role in cell activation and/or differentiation; expressed in Hodgkin disease, some T-cell lymphomas, and anaplastic large cell lymphomas. CD32A** FcγRII-a, a receptor for the Fc (constant) region of immunoglobulin G (IgG). Of the related pair FCGR2A and FCGR2B (CD32B), the 'A' type is considered the activating isoform. CD32B** FcγRII-b, a receptor for the Fc (constant) region of immunoglobulin G (IgG). Of the related pair FCGR2A (CD32A) and FCGR2B, the 'B' type is considered the inhibitory isoform. Ligation of CD32B on B cells downregulates antibody production and may, in some circumstances, promote apoptosis. Co-ligation of CD32B on dendritic cells inhibits maturation and blocks cell activation. CD33 a marker of unknown function found on immature myeloid cells, including acute myeloid leukemia blasts and mature monocytes. 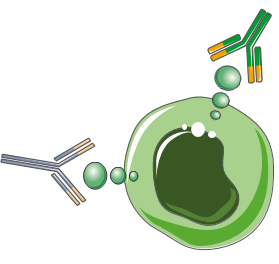 Anti-CD33 monoclonal antibodies are extensively used for the diagnosis of all types of AMLs. CD37 A leucocyte restricted tetraspanin expressed primarily in B cells, but also found on T cells, Monocytes and Granulocytes. CD38 involved in ecto-ADP-ribosyl cyclase and cell activation on many hematopoietic, plasma, and B & T activated cells; marker increases with HIV seroconversion, coexpression with CD8 associated with progression (indicates persistent viral stimulation). Some antibodies targeting CD38 are being tested in multiple myeloma and non-Hodgkin's lymphoma e.g. Daratumumab or Celgene's MOR202. CD39 Also known as Ectonucleoside triphosphate diphosphohydrolase 1 (ENTPD1). Hydrolyzes nucleotide substrates at extremely high turnover rates, converting ATP directly into AMP without releasing ADP. Forms oligomers that are essential for its enzymatic activity. CD40 A costimulatory protein found on antigen presenting cells. CD40 combines with its ligand CD154 (CD40L) on T cells to induce antibody isotype switching in B cells. Under investigation as an antibody target for solid tumor (e.g. Roche RG7876). CD41 Integrin subunit αIIb; Gene ITGA2B. 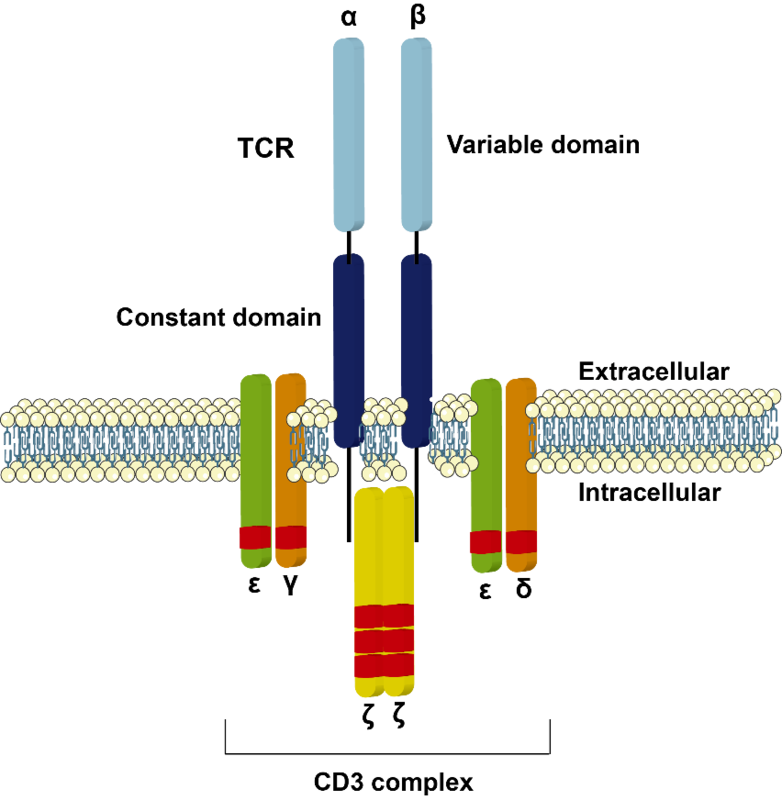 Glycoprotein IIb (GPIIb): Component of the integrin αIIbβ3 (GPIIb-IIIa) fibrinogen receptor; major role is in platelet aggregation. Mutations in ITGA2B can be causative for Glanzmann thrombasthenia. CD42* the platelet Glycoprotein Ib/V/IX complex(GPIb/V/IX). 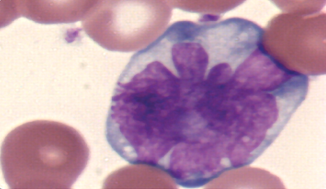 Expressed on platelets and is a late, specific marker of megakaryocyte differentiation. The Glycoprotein Ib/V/IX complex is essential for normal haemostasis; deficiency results in Bernard-Soulier Syndrome, a syndrome of thrombocytopenia and giant platelets. CD42a Platelet glycoprotein IX (GPIX) encoded by the GP9 gene. CD42b Platelet glycoprotein Ib alpha chain encoded by the GP1BA gene. CD42c Platelet glycoprotein Ib beta chain encoded by the GP1BB gene. CD42d Platelet glycoprotein V encoded by the GP5 gene. CD43 CD43 is a sialomucin. CD44 A family of matrix adhesion molecules formed by alternative mRNA splicing, that adhere to hyaluronate, collagen, laminin, and fibronectin. Helps maintain polarization of epithelial cells. Found on bone marrow stromal cells and many other cells. CD45 leucocyte common antigen, a type I transmembrane protein present on all hemopoietic cells except erythrocytes that assists in cell activation; expressed in lymphomas, B-cell chronic lymphocytic leukemia, hairy cell leukemia, and acute nonlymphocytic leukemia. CD46 Inhibitory complement receptor which is ubiquitously expressed on human cells. Binding site for viral H (Hemagglutinin) protein. CD47 Membrane protein, which is involved in the increase in intracellular calcium concentration that occurs upon cell adhesion to extracellular matrix. Binds to TSP-1 and SIRPa (CD172A). Tumor cells can evade macrophage phagocytosis through CD47 expression. An experimental drug from Trillium, SIRPαFc, targets CD47 thus allowing macrophages to destroy tumor cells in acute myeloid leukemia. In 2016, Celgene via InhibRx, Forty Seven and several other biotech companies are also trialling anti-CD47 molecules to treat various cancers and other indications. CD48 CD48 is a human protein encoded by the CD48 gene. It is a universal cell membrane molecule present on all leukocytes. CD49a Integrin alpha 1 subunit. CD49b Very late antigen (VLA) alpha 2 chain; found on platelets and activated B and T cells. CD49c Very late antigen (VLA) alpha 3 chain; found on nonhematopoietic bone marrow cells. Receptor for collagen, laminin, fibronectin, and thrombospondin. CD49d Integrin alpha 4 subunit. Unlike other integrin alpha chains, alpha 4 neither contains an I-domain, nor undergoes disulfide-linked cleavage. CD49e Integrin alpha 5 subunit. Alpha chain 5 undergoes post-translational cleavage in the extracellular domain to yield disulfide-linked light and heavy chains that join with beta 1 to form a fibronectin receptor. CD49f Integrin alpha 6 subunit. CD50 Intercellular adhesion molecule 3 encoded by the ICAM3 gene. CD51 CD51 is a type I integral membrane glycoprotein, known as vitronectin receptor α chain, or integrin αV. It forms heterodimer with integrin β1 (CD29), β3 (CD61), β5, β6, or β8. CD51 contains two disulfide-linked subunits of 125 kD and 24 kD, and is expressed on endothelial cells, fibroblasts, macrophages, platelets, osteoclasts, neuroblastoma, melanoma, and hepatoma cells. CD52 CAMPATH-1 antigen encoded by the CD52 gene. CD53 A leucocyte restricted tetraspanin expressed by B cells, T cells, dendritic cells, monocytes, NK cells and Granulocytes. CD57 Is expressed by Natural Killer Cells subsets of T cells, B Cells, and Monocytes. Represents a carbohydrate epitope that contains a sulfoglucuronyl residue. CD58 a membrane protein present on many hemopoietic cells and fibroblasts that acts as a ligand for CD2 and may be involved in T-cell function. CD61 Integrin subunit β3; Gene ITGB3. Glycoprotein IIIa (GPIIIa): Component of the integrin αIIbβ3 (GPIIb-IIIa) fibrinogen receptor; major role is in platelet aggregation. Mutations in ITGB3 can be causative for Glanzmann thrombasthenia. CD62E E-selectin is a cell adhesion molecule expressed only on endothelial cells activated by cytokines. CD62L L-selectin is a cell adhesion molecule found on leukocytes. CD62P P-selectin is a cell adhesion molecule (CAM) found in granules in endothelial cells (cells lining blood vessels) and activated platelets. CD63 Member of the Tetraspanin family expressed in activated platelets, monocytes and macrophages. CD64a Commonly known as Fc-gamma receptor 1 (FcγRI) with high-affinity to IgG. CD64 is found on macrophages and monocytes. CD66f Pregnancy-specific beta-1-glycoprotein 1 encoded by the PSG1 gene. Produced in high quantity during pregnancy. CD68 110 kDa highly glycosylated transmembrane protein which is mainly located in lysosomes. Present in macrophages in many human tissues including Kupffer’s cells and macrophages in the red pulp of the spleen, in lung alveoli, in lamina propria of the gut, and in the bone marrow. Used as immunocytochemical marker for staining of monocytes/macrophages. CD69 An early activation marker on T cells and NK cells. CD70 Expressed on highly activated lymphocytes (like in T- and B-cell lymphomas). Its ligand is CD27. CD71 Transferrin receptor (Transferrin receptor protein 1 - TfR1), mediates cellular uptake of iron. Ubiquitously expressed on dividing, normal (haematological precursors) and malignant cells. Currently investigated as a target for an antibody ("probody") drug conjugate from Cytomx / Abbvie to treat various cancers. CD74 Transmembrane protein that assists and maintains the assembly of MHC-II complexes in the ER until its loaded with peptide in Endosomes. Present in all professional APCs expressing MHC-II. It is more commonly named "Invariant chain" and coded in the HLA-II gene cluster. CD79A Also known as B-cell antigen receptor complex-associated protein alpha chain and MB-1 membrane glycoprotein, is a protein that in humans is encoded by the CD79A gene. Together with CD79B, forms a dimer associated with the formation of the B-cell antigen receptor (BCR), enabling a cell to respond to the presence of antigens on its surface. CD79B Also known as B-cell antigen receptor complex-associated protein beta chain, is a protein that in humans is encoded by the CD79B gene. Together with CD79A, forms a dimer associated with the formation of the B-cell antigen receptor (BCR), enabling a cell to respond to the presence of antigens on its surface. Roche is developing an antibody drug conjugate (RG7596) targeting CD76b in certain types of Non-Hogdkin Lymphoma. Macrogenics has started pre-clinical studies into a drug (MGD010) targeting CD79b and CD32b. CD80 when bound to CD28 on T-cells, can provide the costimulatory effect; also referred to as B7.1, one of the B7 molecules. Causes up-regulation of a high affinity IL-2 receptor allowing T cells to proliferate. CD81 A tetraspanin expressed in a wide variety of tissues, which plays an important role in B cells as part of the B cell co-receptor complex with CD19, Leu 13 and CD21. Also expressed in T cells, NK cells, Dendritic cells, Monocytes and blood progenitors. CD82 Member of the tetraspanin family of transmembrane proteins. Broad tissue distribution including B cells, T cells, Granulocytes, Monocytes and CD34+ progenitors. CD83 a 45 kDa transmembrane glycoprotein of the Ig superfamily. Expressed on cultured dendritic cells, interdigitating, follicular, and circulating dendritic cells as well as some proliferating lymphocyte of all human cell lines. Functionally unclear, but can serve as a useful marker for mature human blood dendritic cells. CD84 SLAM family member 5 (SLAMF5 - Signaling lymphocytic activation molecule 5) encoded by the CD84 gene. Plays a role as adhesion receptor. CD85C LILRB5 - Leukocyte immunoglobulin-like receptor subfamily B member 5. Detected in natural killer (NK) cells. CD86 when bound to CD28 on T-cells, can provide the costimulatory effect; also referred to as B7.2, one of the B7 molecules. Causes up-regulation of a high affinity IL-2 receptor allowing T cells to proliferate. CD90 Thy-1 Thymus cell antigen. CD94 Natural killer cells antigen CD94, encoded by the KLRD1 gene. Plays a role as a receptor for the recognition of MHC class I HLA-E molecules by NK cells and some cytotoxic T-cells. CD95 Fas Receptor, encoded by FAS gene; receptor for Fas ligand (CD178 - FASLG), an extrinsic apoptotic signal i.e. Fas ligand binding to Fas receptor leads to apoptosis - death of the cell. Fas ligand/receptor interactions play an important role in the regulation of the immune system and the progression of cancer. CD96 CD96 is a transmembrane glycoprotein that has three extracellular immunoglobulin-like domains and is expressed by all resting human and mouse NK cells. CD96 main ligand is CD155. CD 96 has approximately 20% homology with CD226 and competed for binding to CD155 with CD226. CD98 is a glycoprotein that is a heterodimer composed of SLC3A2 and SLC7A5 that forms the large neutral amino acid transporter (LAT1). LAT1 is a heterodimeric membrane transport protein that preferentially transports branched-chain (valine, leucine, isoleucine) and aromatic (tryptophan, tyrosine) amino acids. LAT is highly expressed in brain capillaries (which form the blood–brain barrier) relative to other tissues. A functional LAT1 transporter is composed of two proteins encoded by two distinct genes:4F2hc/CD98 heavy subunit protein encoded by the SLC3A2 gene CD98 light subunit protein encoded by the SLC7A5. CD99 Also known as MIC2 or single-chain type-1 glycoprotein, is a heavily O-glycosylated transmembrane protein. Unusually for a gene present on the X chromosome, the CD99 gene does not undergo X inactivation. It is expressed on all leukocytes but highest on thymocytes and is believed to augment T-cell adhesion and apoptosis of double positive t cells. It also participates in migration and activation. Also used to distinguish between various hematological malignancies. CD100 Also known as semaphorin 4D and is known as a potent proangiogenic molecule. CD102 Intercellular adhesion molecule 2, encoded by ICAM2 gene. CD103 A type I transmembrane protein present on intestinal intraepithelial lymphocytes, some circulating leukocytes, and some T cells that facilitates adhesion to epithelia; expressed in hairy cell leukemia and some B-cell chronic lymphocytic leukemias. CD105 Endoglin, a regulatory component of the TGF-beta receptor-cell complex. Mediates cellular response to TGFbeta. CD106 VCAM-1; Alpha 4 beta 1 ligand. Adhesion molecule involved in white blood cell migration. CD109 r150, Gov alloantigen, an accessory receptor of the TGF-beta signaling pathway. Mediates cellular response to TGFbeta. Presents Gov alloantigens and ABH blood antigens. CD110 Thrombopoietin receptor (TPOR), encoded by the MPL (myeloproliferative leukemia virus) gene; mutations in gene associated with forms of anemia, myelofibrosis and thrombocythemia. CD111 Nectin-1 or Herpesvirus entry mediator C (HveC), encoded by the PVRL1 (Poliovirus receptor-related protein 1) gene. Key role in cellular entry of Herpes simplex virus. CD112 Nectin-2 or Herpesvirus entry mediator B (HveB), encoded by the PVRL2 (Poliovirus receptor-related protein 2) gene. Involved in entry for some herpes simplex strains and pseudorabies. Variations in gene linked to severity of multiple sclerosis. CD115 a cell-surface protein encoded, in humans, by the CSF1R gene. Also known as colony stimulating factor 1 receptor (CSF1R) and/or as macrophage colony-stimulating factor receptor (M-CSFR). It is a receptor, known to be expressed on monocytes and macrophages, for a cytokine called colony stimulating factor 1 (CSF1) and also interleukin 34 (IL34). Binding to CSF1 and IL34 ligands activate CSF1R, promoting survival and activity of monocytes and macrophages. Five Prime has an early stage drug, FPA008, that blocks CSF1R in the hope of treating macrophage-dependent diseases including cancers and rheumatoid arthritis - in trials with Nivolumab. Roche also has an experimental anti-CD115 mAb, Emactuzumab. CD119 Interferon gamma receptor 1, encoded by the IFNGR1 gene; receptor for interferon gamma - two receptors bind one interferon gamma dimer. CD120a Tumor necrosis factor receptor superfamily member 1A (TNFR1), encoded by TNFRSF1A gene. Familial hibernian fever is caused by mutations in this gene. CD120b Tumor necrosis factor receptor superfamily member 1B (TNFR2), encoded by TNFRSF1B gene. Constituent of the drug Enbrel, used to treat rheumatoid arthritis. CD123 Also known as interleukin-3 receptor (IL-3R), is a molecule found on cells which helps transmit the signal of interleukin-3, a soluble cytokine important in the immune system. It is found on pluripotent progenitor cells, induces tyrosine phosphorylation within the cell, and promotes proliferation and differentiation within the hematopoietic cell lines. CD124 Interleukin-4 receptor subunit alpha; encoded by IL4R gene. Receptor for both interleukin 4 and interleukin 13. IL4Ra is targeted by Regeneron-Sanofi antibody Dupilumab in the treatment of atopic dermatitis and Pieris-Astra Zeneca investigational anticalin PRS-060 in the treatment of asthma. Both drugs thus modulate signaling of the interleukin 4 and interleukin 13 pathways. CD125 Interleukin-5 receptor subunit alpha; encoded by IL5RA gene. CD126 Interleukin-6 receptor subunit alpha; encoded by IL6R gene. CD131 Cytokine receptor common subunit beta; encoded by CSF2RB gene; high affinity receptor for interleukin-3, interleukin-5 and granulocyte-macrophage colony-stimulating factor. Gene mutation can cause a rare lung disorder. CD132 Cytokine receptor common subunit gamma, or gamma subunit of IL-2 receptor (IL2RG). Gene mutation can cause rare x-linked immunodeficiency. CD133 Prominin-1, (PROM1 gene); a hematopoietic and CNS stem cell marker. A 5 transmembrane domain protein. Also known as AC133. Gene mutations can cause various retinal diseases. Also found in various body fluids such as cerebrospinal fluid, saliva, seminal fluid and urine. CD135 Also known as fms-like tyrosine kinase receptor-3 (Flt3) or fetal liver kinase-2 (Flk2); A cytokine receptor for Flt3 ligand (Flt3L) important in early hematopoiesis. Gene may be involved in acute myelogenous leukemia (AML). CD137 Tumor necrosis factor receptor superfamily member 9 (TNFRSF9), a member of the tumor necrosis factor (TNF) receptor family, also known as 4-1BB and Induced by Lymphocyte Activation (ILA). Targeted by Bristol Myers' Urelumab, a CD137 agonist antibody, in early trials with anti-PDL1 (CD274) mAbs; activating CD137 stimulates an immune response, in particular a cytotoxic T cell response, against tumor cells, though liver toxicity can be a problematic side effect. Pfizer also has an early-stage 4-1BB agonist (Utomilumab PF-2566) in combination trials, and Pieris is trialling PRS-343, a CD137 - HER2 bispecific (2016). CD138 a plasma cell-surface glycoprotein, known as syndecan-1. Syndecan functions as the alpha receptor for collagen, fibronectin and thrombospondin. CD140A also known as Platelet-derived growth factor receptor, alpha (PDGFRA); a protein in humans encoded by PDGFRA gene. A cell surface tyrosine kinase receptor for members of the platelet-derived growth factor family. Lilly has developed Olaratumab, (LY3012207) a human IgG1 monoclonal antibody designed to bind to human PDGFRα with high affinity and block PDGF-AA, PDGF-BB, and PDGF-CC ligands from binding to the receptor and is conducting clinical trials in patients with soft-tissue sarcoma. CD140B also known as Platelet-derived growth factor receptor, beta (PDGFRB); a protein in humans encoded by PDGFRB gene. A cell surface tyrosine kinase receptor for members of the platelet-derived growth factor family. CD141 Thrombomodulin or BDCA-3, an integral membrane protein. On endothelial cells, it is involved in anticoagulation. It also occurs, with unknown function, on a very rare subtype of dendritic cells. CD144 VE-Cadherin, a calcium-dependent adhesion molecule at intercellular junctions, found mainly in the vascular endothelium. Recent research indicates that CD144 may be present on some leucocytes as well. CD147 Neurothelin. An extracellular matrix metalloproteinase inducer. CD151 Tetraspanin with a wide tissue distribution, including platelets, Megakaryocytes, Granulocytes and erythroleukemia. CD152 Also called Cytotoxic T-lymphocyte antigen-4 (CTLA-4). Expressed in CD4+ T Lymphocytes but also found in some B Lymphocytes. Binds to CD80 and CD86 receptors with a higher affinity than CD28, and inhibits T cell activation. Targeted by drugs such as Ipilimumab for melanoma and other cancers. CD153 Tumor necrosis factor ligand superfamily member 8; encoded by TNFSF8 gene; CD30 ligand; induces proliferation of T-cells. CD154 The ligand for CD40. This is a costimulatory molecule that plays many roles, best known for activating B cells but also known to induce the activation of an APC in association with T cell receptor stimulation by MHC molecules on the APC. CD155 The poliovirus receptor, a protein that in humans that is encoded by the PVR gene. Also known as Necl5. CD157 BST1 Bone marrow stromal cell antigen-1 is a stromal cell line-derived glycosylphosphatidylinositol-anchored molecule that facilitates pre-B-cell growth. The deduced amino acid sequence exhibits 33% similarity with CD38. BST1 expression is enhanced in bone marrow stromal cell lines derived from patients with rheumatoid arthritis. CD158* Killer cell immunoglobulin-like receptors (KIR) with two extracellular domains, variously expressed on NK cells. CD158a is KIR2DL1, CD158b is KIR2DL3, CD158d is KIR2DL4. Innate and Bristol Myers are testing monoclonal antibody Lirilumab, which binds to KIR2DL1 (CD158A) and KIR2DL2/3, thus blocking the interaction of KIR receptors with their HLA-C ligands, and preventing the inhibitory signal triggered by this interaction. Thus the cytotoxicity of NK cells is enhanced. CD158A Killer cell immunoglobulin-like receptor 2DL1; encoded by KIR2DL1 gene; receptor on natural killer cells for HLA-C alleles; inhibits the activity of NK cells thus preventing cell lysis. CD158D Killer cell immunoglobulin-like receptor 2DL4; encoded by KIR2DL4 gene; receptor on NK cells for HLA-C alleles; inhibits NK cell activity thus prevents cell lysis. CD158E1 Killer cell immunoglobulin-like receptor 3DL1; encoded by KIR3DL1 gene; receptor on natural killer (NK) cells for HLA Bw4 allele; inhibits NK cell activity thus prevents cell lysis. CD158E2 Killer cell immunoglobulin-like receptor 3DS1; encoded by KIR3DS1 gene; receptor on natural killer (NK) cells for HLA-C alleles; does not inhibit activity of NK cells. CD158G Killer cell immunoglobulin-like receptor 2DS5; encoded by KIR2DS5 gene; receptor on natural killer (NK) cells for HLA-C alleles; does not inhibit activity of NK cells. CD158H Killer cell immunoglobulin-like receptor 2DS1; encoded by KIR2DS1 gene; receptor on natural killer (NK) cells for HLA-C alleles; does not inhibit activity of NK cells. CD158I Killer cell immunoglobulin-like receptor 2DS4; encoded by KIR2DS4 gene; receptor on natural killer (NK) cells for HLA-C alleles; does not inhibit activity of NK cells. CD158J Killer cell immunoglobulin-like receptor 2DS2; encoded by KIR2DS2 gene; receptor on natural killer (NK) cells for HLA-C alleles; does not inhibit activity of NK cells. CD160 CD160 expression is tightly associated with peripheral blood NK cells and CD8 T lymphocytes with cytolytic effector activity. In tissues, CD160 is expressed on all intestinal intraepithelial lymphocytes. CD160 shows a broad specificity for binding to both classical and nonclassical MHC class I molecules. CD163 M130; HbSR; RM3/1 antigen. A glycoprotein endocytic scavenger receptor for haptoglobin-hemoglobin complexes. Found specifically on monocytes/macrophages and some dendritic cells. Involved in anti-inflammatory processes. Soluble form shed upon Toll-like receptor activation. CD167b Discoidin domain-containing receptor 2, encoded by DDR2 gene; tyrosine kinase that functions as cell surface receptor for fibrillar collagen and regulates cell differentiation, remodeling of the extracellular matrix, cell migration and cell proliferation. Required for normal bone development; mutations in gene can cause a form of dwarfism. CD168 Hyaluronan mediated motility receptor (RHAMM), encoded by HMMR gene; over expressed in some cancers. CD171 Neural cell adhesion molecule L1, encoded by L1CAM gene; cell adhesion molecule with important role in development of nervous system; involved in neuron-neuron adhesion, neurite fasciculation, outgrowth of neurites, etc. Binds to axonin on neurons. Gene mutations can cause hydrocephalus. Juno Therapeutics has an experimental anti-CD171 CAR-T therapy in development to treat Neuroblastoma. CD172b Signal-regulatory protein beta-1, encoded by SIRPB1 gene. Immunoglobulin-like cell surface receptor involved in the negative regulation of receptor tyrosine kinase-coupled signaling processes. Participates also in the recruitment of tyrosine kinase SYK. CD172g Signal-regulatory protein gamma (or beta-2), encoded by SIRPG or SIRPB2 gene. Binds with CD47. CD176 TF or Thomsen–Friedenreich antigen is a disaccharide found on cell surfaces and released into circulation in many cancers. CD178 Fas ligand (FasL) is a type-II transmembrane protein belonging to the tumor necrosis factor (TNF) family. Its binding with its receptor Fas (CD95) induces apoptosis. Fas ligand/receptor interactions play an important role in the regulation of the immune system and the progression of cancer. CD179a Immunoglobulin iota chain, encoded by VPREB1 gene; associates with Ig-mu chain to form complex expressed on surface of pre-B-cells; presumably regulates Ig gene rearrangements during B-cell differentiation. CD195 CC chemokine receptor type 5, encoded by CCR5 gene; a beta chemokine receptor to which the natural chemokine ligands RANTES and macrophage inflammatory protein bind. It is commonly used by HIV as a co-receptor to enter its target cells. CD197 CC chemokine receptor type 7, encoded by CCR7 gene; a beta chemokine receptor to which chemokines involved in the migration of T lymphocytes across high endothelial venules bind. CDw199 CC chemokine receptor type 9, encoded by CCR9 gene; a beta chemokine receptor involved in mucosal immunity. The specific ligand of this receptor is CCL25. CD200 Also known as OX-2, a type-1 membrane glycoprotein belonging to the immunoglobulin superfamily. May regulate myeloid cell activity and delivers an inhibitory signal for the macrophage lineage in diverse tissues. CD200 is overexpressed by many different types of hematological and solid tumors. Biotech company Trillium has developed an investigative anti-CD200 monoclonal antibody. CD201 Endothelial protein C receptor (EPCR), also known as activated protein C receptor (APC receptor), is a protein encoded by the PROCR gene. Mutations in this gene have been associated with venous thromboembolism, myocardial infarction and late fetal loss during pregnancy. The protein is also involved in Plasmodium falciparum malaria as subtypes of the P. falciparum erythrocyte membrane protein 1 (PfEMP1) family use EPCR of the host as a receptor. CD203c Ectonucleotide pyrophosphatase/phosphodiesterase family member 3 (ENPP3); this protein belongs to a series of ectoenzymes involved in hydrolysis of extracellular nucleotides, which possess ATPase and ATP pyrophosphatase activities and are type II transmembrane proteins. Found in uterus, basophils, and mast cells. CD204 Macrophage scavenger receptor 1 (MSR1) or SCARA1; able to mediate endocytosis of modified low density lipoproteins (LDLs); group implicated in macrophage-associated physiological and pathological processes including atherosclerosis, Alzheimer's disease and host defense. CD205 Also known as Lymphocyte antigen 75 (LY75), a protein that in humans is encoded by the LY75 gene. Also known as DEC-205. CD206 Also known as mannose receptor C type 1 (MC1) and present on the surface of macrophages, immature dendritic cells, and surface of skin cells such as human dermal fibroblasts and keratinocytes. Additional functions include clearance of glycoproteins from the circulation. CD207 Langerin is a type II transmembrane, C-type lectin receptor on Langerhans cells. Also known as C-type lectin domain family 4 member K. Langerin is localized in the Birbeck granules, organelles present in the cytoplasm of Langerhans cells. CD208 Also known as Lysosome-associated membrane glycoprotein 3 (LAMP3). A protein that in humans is encoded by the LAMP3 gene. CDw210a Interleukin-10 receptor subunit alpha (IL10RA gene) is shown to mediate the immunosuppressive signal of interleukin 10 and thus inhibit synthesis of proinflammatory cytokines. Mutations in the gene implicated in forms of inflammatory bowel disease. CDw210b Interleukin-10 receptor subunit beta (IL10RB gene); required for activation of cytokines: IL10, IL22, IL26, IL28, and IFNL1. Mutation in the gene associated with a form of IBD. CD217 IL17R - Interleukin-17 receptor; a cytokine receptor which binds interleukin 17A. CD218b IL18RAP - Interleukin 18 receptor accessory protein. Variants at IL18RAP have been linked to susceptibility to Coeliac disease. CD220 The insulin receptor (INSR) is a transmembrane receptor with intrinsic tyrosine kinase activity whose ligand is insulin. It plays a crucial role in the regulation of various metabolic pathways, as well as regulating aspects of the cell cycle, such as cellular growth, differentiation, and apoptosis. Mutations in the insulin receptor have been found to be associated with both Type 1 and Type 2 Diabetes Mellitus. CD223 Lymphocyte Activation Gene 3 (LAG3), an inhibitory (checkpoint) receptor on immune system T-cells. LAG3 is the target of early-stage drugs for cancer and autoimmune disorders; IMP321 is a soluble version of LAG3, developed by Prima, while BMS-986016 (from Bristol Myers) and GSK2831781 (Glaxo) are anti-LAG3 monoclonal antibodies. CD226 A co-stimulatory molecule found on Natural Killer Cells, also potentially responsible for cellular adhesion between a NK cell and its cytolytic target. CD227 MUC1 - Mucin 1, cell surface associated or polymorphic epithelial mucin (PEM) is a mucin encoded by the MUC1 gene in humans. The protein serves a protective function by binding to pathogens and also functions in a cell signaling capacity. Used in histopathology, where it is known as EMA (epithelial membrane antigen), to identify various tumours etc. CD230 PRNP - Major prion protein or PrP, for prion protein or protease-resistant protein). More than 20 mutations in the PRNP gene have been identified in people with inherited prion diseases. CD231 Tetraspanin-7 - TSPAN7. The associated gene is linked to X-linked mental retardation and neuropsychiatric diseases such as Huntington's chorea, fragile X syndrome and myotonic dystrophy. CD232 Plexin-C1 (PLXNC1 gene); also called Virus-encoded semaphorin protein receptor (VESPR); Receptor for several virus semaphorins. CD234 DARC - Duffy antigen/chemokine receptor; located on the surface of red blood cells; receptor for the human malarial parasites Plasmodium vivax and Plasmodium knowlesi. CD240CE RHCE - Blood group Rh(CE) polypeptide. CD240D RHD - Rh blood group, D antigen, also known as Rh polypeptide 1 (RhPI). The RhD erythrocyte membrane protein is the Rh factor antigen of the Rh blood group system. CD241 RHAG - Rh-associated glycoprotein is an ammonia transporter protein encoded by the RHAG gene. Mutations in this gene can cause stomatocytosis. CD243 known as ABCB1 (ATP-binding cassette sub-family B member 1), P-glycoprotein 1 (permeability glycoprotein, P-gp or Pgp) or MDR1 (multidrug resistance protein 1); an important protein of the cell membrane that pumps many foreign substances out of cells. CD244 Also known as 2B4, it encodes a cell surface receptor expressed on natural killer (NK) cells (and some T cells) mediating non-major histocompatibility complex (MHC) restricted killing. Thought to modulate NK-cell cytolitic activity. CD246 ALK - Anaplastic lymphoma kinase or ALK tyrosine kinase receptor. ALK plays an important role in the development of the brain. Several ALK-inhibitor drugs are used to treat lung cancer. ALK is also overexpressed in several other tumours. CD249 Glutamyl aminopeptidase - ENPEP. The enzyme degrades vasoconstricting angiotensin II into angiotensin III and so helps to regulate blood pressure. CD252 OX40L or TNFSF4 (tumor necrosis factor (ligand) superfamily, member 4), the ligand for CD134 (OX40) and expressed on cells such as DC2s (a subtype of dendritic cells) enabling amplification of Th2 cell differentiation. Various single nucleotide polymorphisms (SNPs) of the OX40L gene have been identified, some associated with systemic lupus erythematosus, but not atherosclerosis. CD253 TRAIL (TNF-related apoptosis-inducing ligand), or TNFSF10 (tumor necrosis factor (ligand) superfamily, member 10). TRAIL is a cytokine produced by most normal tissue cells, causing apoptosis primarily in tumor cells by binding to certain death receptors. The target of several anti-cancer therapeutics since mid-1990s, but these have not shown significant survival benefit. CD254 RANKL (Receptor activator of nuclear factor kappa-B ligand), tumor necrosis factor ligand superfamily member 11 (TNFSF11), TNF-related activation-induced cytokine (TRANCE), osteoprotegerin ligand (OPGL), and osteoclast differentiation factor (ODF). RANKL affects the immune system and controls bone regeneration. Targeted by mAb drug Denosumab to treat osteoporosis. CD258 LIGHT (homologous to Lymphotoxin, exhibits Inducible expression and competes with HSV Glycoprotein D for binding to Herpesvirus entry mediator, a receptor expressed on T lymphocytes), or TNFSF14 (tumor necrosis factor superfamily member 14); a secreted protein of the TNF superfamily; recognized by herpesvirus entry mediator, HVEM or CD270, thus aka HVEML. Also interacts with decoy receptor 3, BIRC2, TRAF2 and TRAF3. CD261 Death receptor 4 (DR4), TRAIL receptor 1 (TRAILR1) and tumor necrosis factor receptor superfamily member 10A (TNFRSF10A); a cell surface receptor of the TNF-receptor superfamily that binds TRAIL (CD253) and mediates apoptosis. CD262 Death receptor 5 (DR5), TRAIL receptor 2 (TRAILR2) and tumor necrosis factor receptor superfamily member 10B (TNFRSF10B); a cell surface receptor of the TNF-receptor superfamily that binds TRAIL (CD253) and mediates apoptosis. CD266 TNFRSF12A (Tumor necrosis factor receptor superfamily member 12A), or Tweak-receptor (TweakR). Receptor for TWEAK ligand. CD267 Transmembrane activator and CAML interactor (TACI), or tumor necrosis factor receptor superfamily member 13B (TNFRSF13B); a transmembrane protein of the TNF receptor superfamily found predominantly on the surface of B cells, which are an important part of the immune system. TACI recognizes three ligands: APRIL (CD256), BAFF (CD257) and CAML. TACI controls T cell-independent B cell antibody responses, isotype switching and B cell homeostasis. TACI mutations are associated with immunodeficiency; a significant proportion of CVID patients have TACI mutations. CD268 BAFF receptor (B-cell activating factor receptor, BAFF-R), or tumor necrosis factor receptor superfamily member 13C (TNFRSF13C). TNFRSF13C is a membrane protein of the TNF receptor superfamily which recognizes BAFF. CD269 Also known as B-cell maturation antigen (BCMA or BCM) or tumor necrosis factor receptor superfamily member 17 (TNFRSF17). Protein encoded by the TNFRSF17 gene. This receptor is preferentially expressed in mature B lymphocytes, and may be connected to leukemias and lymphomas. BCMA is brightly expressed on most multiple myeloma cells and hence of interest as a target for CART therapy. Bluebird and Celgene currently have an anti-BCMA early-stage product, bb2121, due to start trials for multiple myeloma in 2016. CD270 Herpesvirus entry mediator (HVEM), or tumor necrosis factor receptor superfamily member 14 (TNFRSF14); a human cell surface receptor of the TNF-receptor superfamily. Binding of HSV viral envelope glycoprotein D (gD) to CD270 shown to be part of viral entry mechanism. Interacts with TRAF2, TNFSF14 (CD258) and TRAF5. BTLA (CD272) is a ligand for HVEM. CD271 is the p75 Nerve Growth factor receptor (NGFR) or Low-affinity Nerve Growth Factor Receptor (LNGFR) and a member of the tumor necrosis factor receptor (TNF receptor) superfamily. LNGFR has been implicated as a marker for cancer stem cells in melanoma and other cancers. Melanoma cells transplanted into an immunodeficient mouse model were shown to require expression of CD271 in order to grow a melanoma. Thus CD271 is under investigation as a cell marker for melanoma drugs (2016). CD272 BTLA (B- and T-lymphocyte attenuator); expression induced during activation of T cells. Like PD1 and CTLA4, BTLA interacts with a B7 homolog, B7H4. However, unlike PD-1 (CD279) and CTLA-4 (CD152), BTLA displays T-Cell inhibition via interaction with tumor necrosis family receptors (TNF-R), not just the B7 family of cell surface receptors. BTLA is a ligand for HVEM (CD270). BTLA-HVEM complexes negatively regulate T-cell immune responses. BTLA activation inhibits the function of CD8+ cancer-specific T cells. CD274 PDL1 or PDCD1L1 (Programmed Cell Death 1 Ligand 1); expressed on T cells, NK cells, macrophages, myeloid DCs, B cells, epithelial cells, and vascular endothelial cells and others. Ligand for PD1 (CD279) and also CD80 (B7-1). Formation of PD1/PDL1 or B7-1/PDL1 complexes transmit an inhibitory signal reducing proliferation of CD8+ T cells at lymph nodes. Anti-PDL1 drugs like Atezolizumab, currently in trials for bladder cancer, work by preventing the inhibition of T-cells. CD275 ICOSLG or ICOS ligand. CD278 Inducible T-cell costimulator (ICOS) is an immune checkpoint protein; a CD28-superfamily costimulatory molecule expressed on activated T cells; thought to be important for Th2 cells. Used as a biomarker in Ipilimumab treatment. CD279 PD-1 or PDCD1 (Programmed Cell Death 1); cell surface receptor which binds to PD-L1 and PD-L2 ligands; functions as immune checkpoint with important role in down regulating immune system by preventing T-cell activation. Targeted by Nivolumab, Pembrolizumab and other monoclonal antibodies in a new class of cancer drugs. CD281 TLR1; a member of the Toll-like receptor family (TLR) of pattern recognition receptors of the innate immune system. TLR1 recognizes pathogen-associated molecular pattern with a specificity for gram-positive bacteria; found on the surface of macrophages and neutrophils; interacts with TLR2 (CD282). CD282 Toll-like receptor 2 (TLR2); plays a role in the immune system. TLR2 is a membrane protein, recognizing bacterial, fungal, viral, and certain endogenous substances and passing on appropriate signals to the cells of the immune system. CD284 Toll-like receptor 4 (TLR4 or TOLL). It detects lipopolysaccharide from Gram-negative bacteria and is thus important in the activation of the innate immune system. Various μ-opioid receptor ligands have been found to possess action as agonists or antagonists of TLR4, with opioid agonists such as morphine being TLR4 agonists. CD286 Toll-like receptor 6 (TLR6). This receptor functionally interacts with TLR2 (CD282) to mediate cellular response to bacterial lipoproteins. CD288 Toll-like receptor 8 (TLR8); Genetic variants in TLR8 have recently been linked to susceptibility to pulmonary tuberculosis. CD289 Toll-like receptor 9 (TLR9). TLR9 recognizes unmethylated CpG sequences in DNA molecules. Biotech company Mologen is currently (2017) testing a TLR9 agonist, Lefitolimod, for treatment of HIV and various cancers. CDw293 Bone morphogenetic protein receptor type-1B (BMPR1B); Mutations in the associated gene have been linked with primary pulmonary hypertension. CD294 Prostaglandin D2 receptor 2 (DP2) or GPR44; a human protein encoded by the PTGDR2 gene. The DP2 pathway has been suggested as a potential target for baldness treatment. CD295 Leptin receptor (LEPR or OBR); LEPR functions as a receptor for the fat cell-specific hormone leptin. Variations in the leptin receptor have been associated with obesity and increased susceptibility to Entamoeba histolytica infections. CD301 CLEC10A (C-type lectin domain family 10 member A). Members of this family share a common protein fold and have diverse functions, such as cell adhesion, cell-cell signalling, glycoprotein turnover, and roles in inflammation and immune response. CD302 CD302 is a C-type lectin receptor involved in cell adhesion and migration, as well as endocytosis and phagocytosis. CD303 BDCA-2, a type II C-type lectin (CLEC4C) which is involved in endocytosis of antigens for processing in plasmacytoid dendritic cells. Activation decreases type I interferon production. CD304 Neuropilin-1 (NP-1), NRP1 or BDCA-4, has a wide range of functions. On neurons, it is a receptor for axon growth guidance class-3 semaphorins SEMA3A and plexin-1, on endothelial and some tumor cells it is a VEGF165 receptor, and on plasmacytoid dendritic cells it has a similar role to CD303 but does not decrease interferon production upon activation. CD305 LAIR1, (Leukocyte-associated immunoglobulin-like receptor 1) is an inhibitory receptor found on peripheral mononuclear cells, including NK cells, T cells, and B cells. Inhibitory receptors regulate the immune response to prevent lysis of cells recognized as self. CD306 LAIR2, (Leukocyte-associated immunoglobulin-like receptor 2) is a member of the immunoglobulin superfamily. The function of this protein is unknown, though it is thought to be secreted and may help modulate mucosal tolerance. CD309 Kinase insert domain receptor, (KDR), a type III tyrosine kinase receptor involved in angiogenesis. CD312 EMR2, (EGF-like module-containing mucin-like hormone receptor-like 2) is a protein encoded by the ADGRE2 gene. EMR2, a member of the adhesion GPCR family, is expressed by monocytes/macrophages, dendritic cells and all types of granulocytes and is closely related to CD97. CD314 KLRK1 or NKG2D is a transmembrane protein belonging to the CD94/NKG2 family of C-type lectin-like receptors. NKG2D is encoded by KLRK1 gene in the NK-gene complex (NKC) on chromosome 12 in humans. In humans it is expressed by NK cells, γδ T cells and CD8+ αβ T cells. NKG2D recognizes induced-self proteins from MIC and RAET1/ULBP families which appear on the surface of stressed, malignant transformed, and infected cells. Thought important in viral control as some viruses have adapted mechanisms to evade NKG2D responses. Also, tumor cells that can evade NKG2D responses are more likely to propagate. CD317 Tetherin or BST2 (bone marrow stromal antigen 2), is a lipid raft associated protein. Expressed in mature B cells, plasma cells, plasmacytoid dendritic cells, and many other cells, only as a response to stimuli from IFN pathway. Known to block many types of enveloped viruses by tethering the budding virus like particles (VLPs) and inhibiting them from leaving the cell surface. CD318 CDCP1, (CUB domain-containing protein 1) and Trask (Transmembrane and associated with src kinases). The phosphorylation of CDCP1 is seen in many cancers, including some pre-invasive cancers as well as in invasive tumors and in tumor metastases. The functional implications of CDCP1 phosphorylation in tumors is currently under investigation. CD319 SLAMF7, a marker of normal plasma cells and malignant plasma cells in multiple myeloma. CD322 JAM2 (Junctional adhesion molecule B). Acts as an adhesive ligand for interacting with a variety of immune cell types and may play a role in lymphocyte homing to secondary lymphoid organs. CD324 A tumor-suppressor gene encoded by the CDH1 (gene) gene also known as Cadherin-1, CAM 120/80, epithelial cadherin (E-cadherin) or uvomorulin. Mutations (loss) in this gene are correlated with gastric, breast, colorectal, thyroid, and ovarian cancers. CD325 CDH2, Cadherin-2, N-cadherin or neural cadherin (NCAD). It is a transmembrane protein expressed in multiple tissues and functions to mediate cell-cell adhesion. In cardiac muscle, N-cadherin is an integral component in adherens junctions residing at intercalated discs, which function to mechanically and electrically couple adjacent cardiomyocytes. Alterations in expression and integrity of N-cadherin protein has been observed in various forms of disease, including human dilated cardiomyopathy. CD326 Epithelial cell adhesion molecule (EpCAM) or Tumor-associated calcium signal transducer 1 (TACSTD1). Expressed on epithelial cells and on many tumors; used as a target for anti-tumor drugs. CD326 is expressed in pluripotent stem cells. CD331 FGFR1 (Fibroblast growth factor receptor 1). A receptor tyrosine kinase whose ligands are specific members of the fibroblast growth factor family. FGFR1 has been shown to be associated with Pfeiffer syndrome. Mutations in the associated gene have also been associated Jackson–Weiss syndrome, Antley-Bixler syndrome, Trigonocephaly, osteoglophonic dysplasia, squamous cell lung cancer and autosomal dominant Kallmann syndrome and may be associated with cleft lip and/or palate. Somatic mutations of the FGFR1 gene occurs in several diseases including breast and lung cancers. Experimental drug Lucitanib from Clovis targets FGFR1, which is over-expressed on some tumor cells causing increased proliferation. CD332 FGFR2 (Fibroblast growth factor receptor 2). FGFR2 has important roles in embryonic development and tissue repair, especially bone and blood vessels. Mutations are associated with numerous medical conditions including abnormal bone development (e.g. craniosynostosis syndromes) and cancer. Five Prime has a monoclonal antibody, FPA144, in early stage trials, that targets FGFR2b (a form of FGFR2), to treat gastric tumours that overexpress FGFR2b, by preventing binding of certain FGFs to FGFR2b. CD334 FGFR4 (Fibroblast growth factor receptor 4). Although specific function is unknown, overexpressed in gynecological tumor samples, suggesting a role in breast and ovarian tumorigenesis. CD337 Also known as Natural cytotoxicity triggering receptor 3 NCR3 or NKp30. Protein that in humans is encoded by the NCR3 gene. CD338 ABCG2 (ATP-binding cassette sub-family G member 2) or BCRP (Breast Cancer Resistance Protein). This protein functions as a xenobiotic transporter which may play a role in multi-drug resistance to chemotherapeutic agents. Significant expression observed in placenta, and role protecting fetus from xenobiotics in maternal circulation. Also protective roles in blocking absorption at the apical membrane of the intestine, blood-testis barrier, blood–brain barrier, and membranes of hematopoietic progenitor and other stem cells. At apical membranes of liver and kidney, enhances excretion of xenobiotics. In lactating mammary gland, role in excreting vitamins such as riboflavin and biotin into milk. CD340 Receptor tyrosine-protein kinase erbB-2, HER2 (human epidermal growth factor receptor 2) or HER2/neu. Overexpression plays a role in certain types of breast cancer. It is a biomarker target for breast cancer drugs such as Herceptin. CD344 FZD4 (Frizzled-4) a receptor in WNT-signalling pathway and for Norrin. FZD4 signaling induced by Norrin regulates vascular development of vertebrate retina and controls important blood vessels in the ear. CD351 FCAMR, (Fcα/μR), an Fc receptor that binds IgM with high affinity and IgA with a 10-fold lower affinity. CD352 SLAMF6, (Signaling lymphocytic activation molecule family member 6), expressed on Natural killer (NK), T, and B lymphocytes. CD353 SLAMF8, (Signaling lymphocytic activation molecule family member 8), expressed in lymphoid tissues. CD354 TREM1, Triggering receptor expressed on myeloid cells 1. CD355 Cytotoxic and regulatory T-cell molecule, encoded by CRTAM gene. Strongly expressed in spleen, thymus, small intestine, peripheral blood leukocyte and in Purkinje neurons in cerebellum. CD357 TNFRSF18, Tumor necrosis factor receptor superfamily member 18, activation-inducible TNFR family receptor (AITR) or Glucocorticoid-induced TNFR-related protein (GITR). This receptor has increased expression upon T-cell activation, and is thought to play a key role in dominant immunological self-tolerance maintained by CD25+/CD4+ regulatory T cells. There are several anti-GITR agonist antibodies in early-stage development. Activating the GITR receptor is thought to increase the proliferation and function of effector T cells, particularly in combination with anti-PDL1 antibodies. As of 2015, TG Therapeutics and Five Prime / Inhibrx have clinical stage antibodies; Merck (MK4166), Medimmune AstraZeneca (MEDI1873), and the company GITR (TRX518) have antibodies in phase 1 trials for solid tumors. In 2016, Novartis initiated an anti-GITR (GWN323) trial. CD358 Death receptor 6 (DR6) or tumor necrosis factor receptor superfamily member 21 (TNFRSF21), it activates the JNK and NF-κB pathways and is mostly expressed in the thymus, spleen and white blood cells. CD360 IL21R (Interleukin 21 receptor). It is a cytokine receptor for interleukin 21 (IL21). It transduces the growth promoting signal of IL21, and is important for the proliferation and differentiation of T cells, B cells, and natural killer (NK) cells. The ligand binding of this receptor leads to the activation of multiple downstream signaling molecules, including JAK1, JAK3, STAT1, and STAT3. CD361 Also known as EVI2B. CD362 Also known as SDC2, Syndecan-2. CD363 S1PR1 (Sphingosine-1-phosphate receptor 1) or EDG1. It is a G-protein-coupled receptor which binds the bioactive signaling molecule sphingosine 1-phosphate (S1P). S1PR1 activation is involved in immune cell regulation and development; vascular growth and development during embryogenesis; motility of cancer cells; it is also over-expressed in MS lesions. Receptos Celgene has a drug in development, Ozanimod, which modulates S1P1R1 in the treatment of immune-inflammatory diseases MS and ulcerative colitis. It is believed to work by interfering with S1P signaling, blocking the lymphocyte response to lymph node exit signals by sequestering them within the nodes, and thus reducing circulating lymphocytes and anti-inflammatory activity by inhibiting cell migration to sites of inflammation. CD365 HAVCR1 (Hepatitis A virus cellular receptor 1) or TIM-1 (T-cell immunoglobulin and mucin domain 1). Plays critical roles in regulating immune cell activity especially in response to viral infection including HAV, Ebola and Dengue. TIM-1 is also involved in allergic response, asthma, and transplant tolerance. CD366 Also known as HAVCR2 (Hepatitis A virus cellular receptor 2) or TIM-3 (T-cell immunoglobulin and mucin domain 3). TIM3 is under investigation as a cancer immune checkpoint target as it may function as a T cell inhibitory receptor and is expressed on CD8+ T cells and Tregs, both involved in immunosuppression. Enumeral / Merck is studying a co-blockade of PD1 and TIM3 pathways; Novartis is also testing an anti-TIM3 therapy with MBG453 (2015). CD367 Also known as CLEC4A. C-type lectin domain family 4 member A.
CD368 Also known as CLEC4D. CD370 Also known as CLEC9A. CD371 Also known as CLEC12A, C-type lectin domain family 12 member A.